Vikram Buildwel Pvt. Ltd. is a reputed enterprise focused on developing homes with the best of amenities. Established in the year 2005, the company has developed numerous projects. 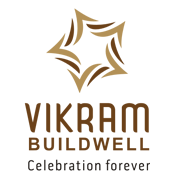 Over the years, Vikram Buildwel has earned a reputation for quality and innovation. Our focus is our clients and building of quality homes within short time frames. Provide a one on one relationship with the builder at all times. What we do for a living is not especially unique. What we believe is unique - our commitment to honesty, concern for the customer, timeliness and a quality project.